In one of customer demo, I came across a question that how we could use test scripts recorded on different machine or rather an existing test script to create a new test in Test Studio. 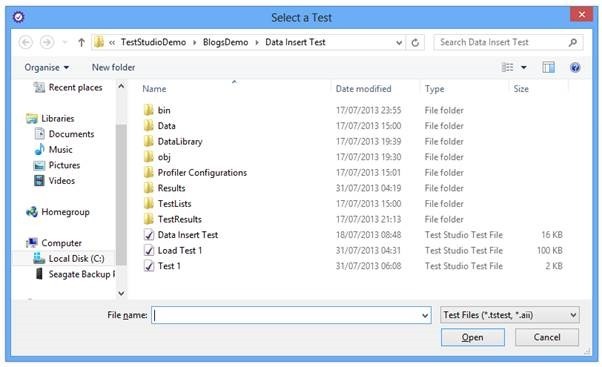 On File system you will find Test Studio Test file. 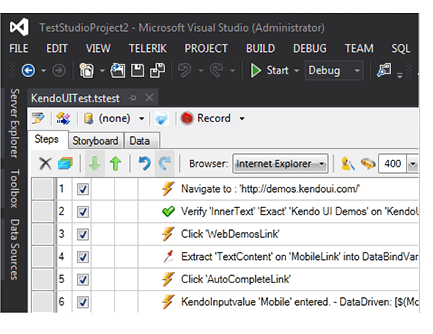 You need to use this Test Studio Test File to create new test with existing scripts. 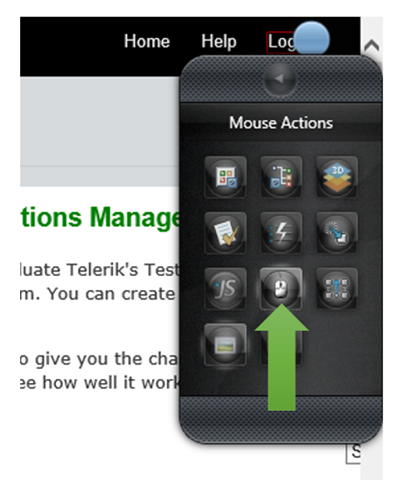 Next to use existing test script, right click on Test Project you get option to Add Existing Test in content menu. 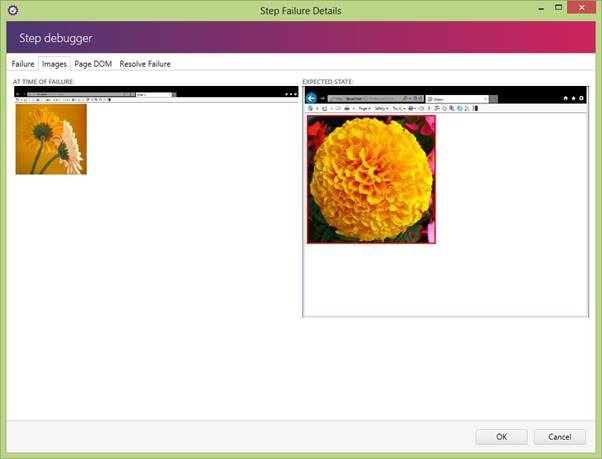 Browse to existing Test Studio Test File you want to use to create new test. Select Test File click on Open. On clicking on Open you will find that you have created new test with existing test. Newly created test will have same name as of existing test. If you want you can rename test by right clicking on the test and selecting rename option from context menu. So just we learnt that it is very simple to use existing test scripts to create new test in Test Studio. I hope you find this post useful. Thanks for reading. 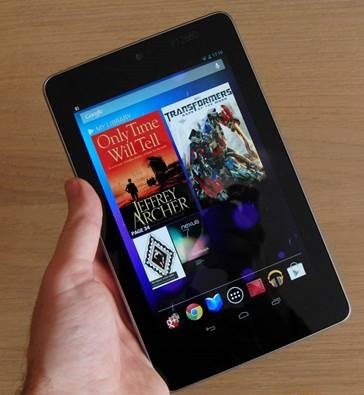 Inserting data from application is very prominent task. 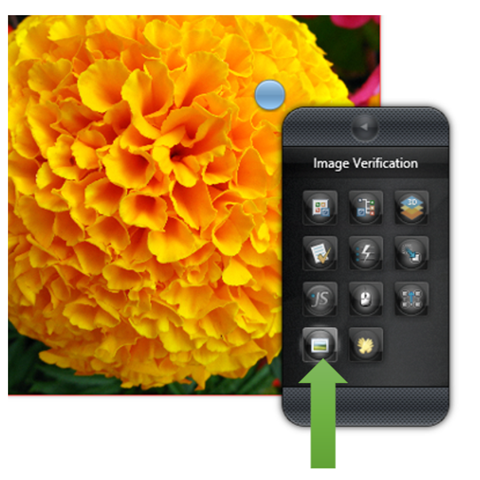 You will find this functionality in all kind of applications. In this post we will take a look on automating the test to verify insertion of data in database. And you have recorded test steps for insertion operation as following. As you see that all the test steps are passed and data got inserted in database. At this point there is no step to verify that whether data got inserted to database successfully or not? 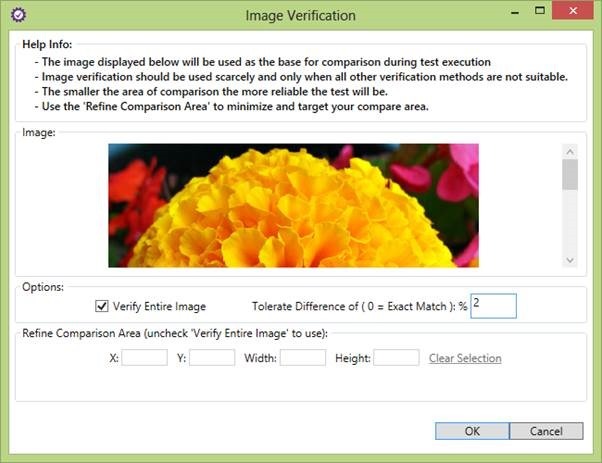 Only manually Tester can verify that data being inserted or not. Now let us see that how can we automate this test. Performing database verification operation in coded step. We will choose LINQ to verify that whether data got inserted successfully not. You can choose any other data base technology like ADO.Net or other library to perform operation against database. Very first we need to add a Coded step. To add coded step select Test from menu and then Script Step from ribbon as given in below image. You will be asked to select scripting language. I am selecting C# as scripting language here. 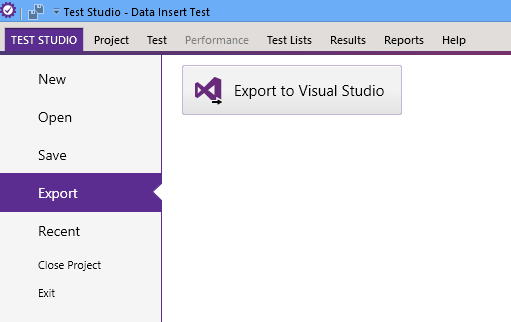 Next select Visual Studio version to export project. 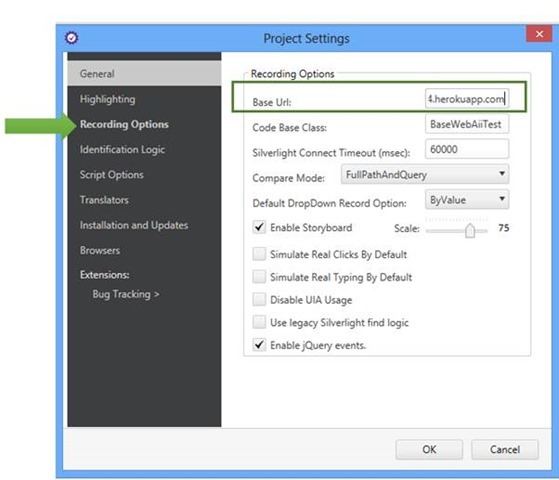 Now in visual studio you need to add operations related to LINQ in different class library. 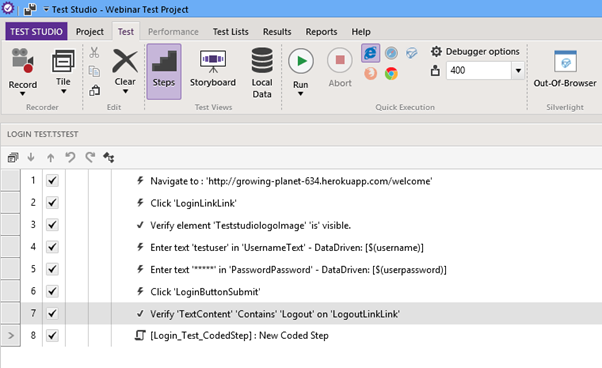 Idea is that we will create separate library for LINQ operation and later we will add that library to Test Studio. We added a static class in which operation is being performed to verify that whether data exist with given user name or not? If data does not exist static function will return false else true. So DataHelper class contains following code to verify that whether data exist or not. 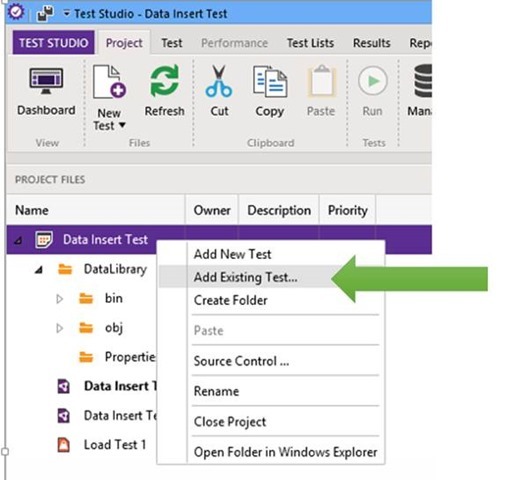 There are in two ways you can work on Test Studio. 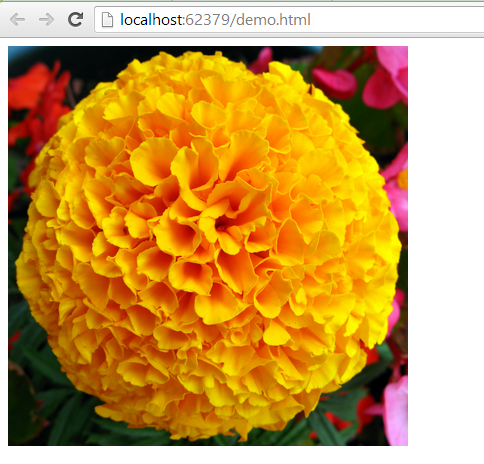 Either on Visual Studio plugin or on Test Studio Desktop. 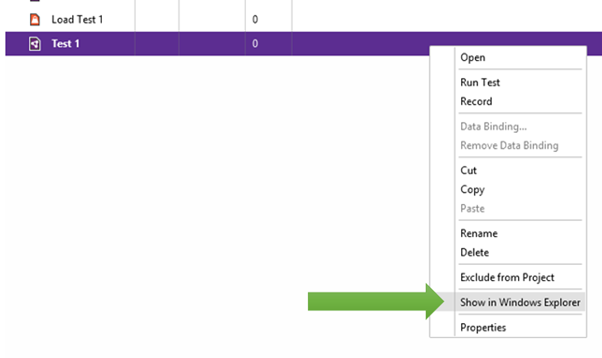 Adding reference in Visual Studio is simpler. 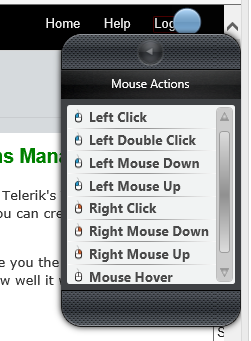 Right click on test project and from context menu select Add Reference. Browse to DataHelper.dll library and add reference in test project. 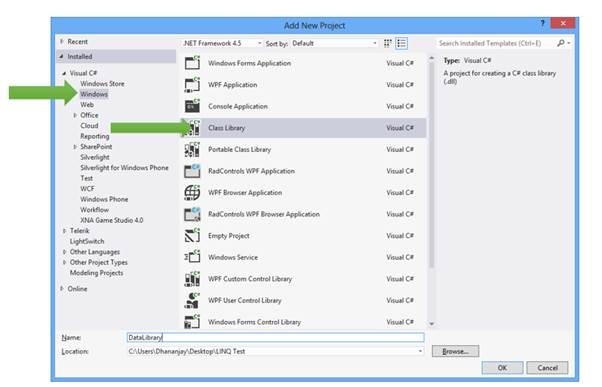 Even though you have added reference in Visual Studio make sure that you have added reference in test project opened in Test Studio desktop version else you will get exception. In dialog box click on Script Options. To add assembly reference click on Add Reference. The way you added DataHelper library add Add reference of nunit.framework dll in Test Project as well. 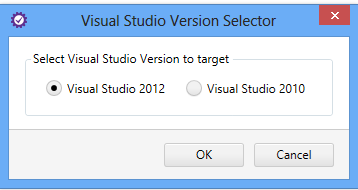 Make sure to add this in Test Studio desktop version also. We are reading text of UserName field using TestStudio Framework API. In this way you can automate data insertion test in database. I hope you find this post useful. Thanks for reading. As you see first step of test is navigating to base URL of testing environment. Problem will occur when you will move test from testing environment to some other environment. In that scenario for each step you will have to come back and change URL. In project setting you have option to provide baseURL. Provide base URL here and click on ok.
After providing base URL when you rerecord test you will find portion specified in base URL hs been removed. 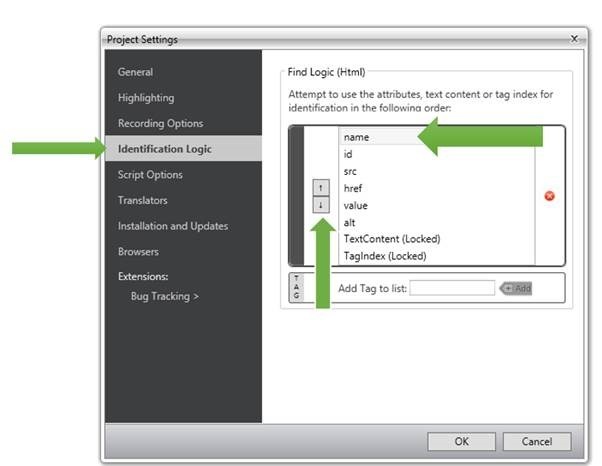 So setting base URL at project level allows you easily to move test from one environment to another environment. For example in case of test environment set base URL as test environment and perform all testing. When you need to execute test in production environment all you need to change base URL in the project setting. I hope you find this post useful. 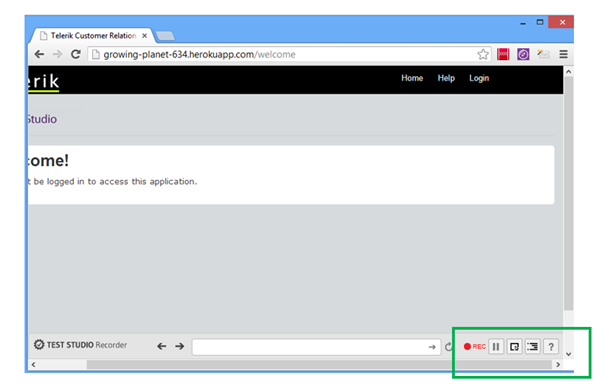 In this post we will take a look on how to use Chrome Browser to record in Test Studio Desktop. 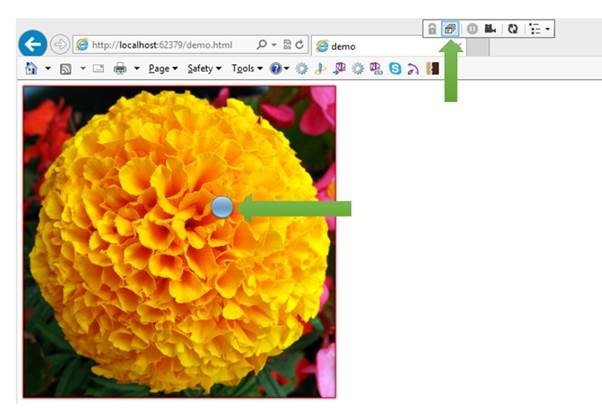 New release of Test Studio allows you to record in any browser. Let us say you have created a Web Test with title Login Test HR. On project dash board double click on test to navigate test dash board. Navigate to page for testing. 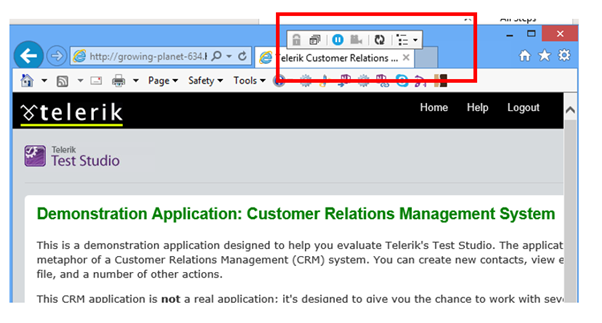 You need to provide page URL in Test Studio recorder built in navigation bar. 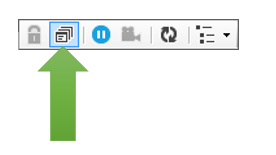 You will get Test Studio Recorder navigation bar in bottom of browser. 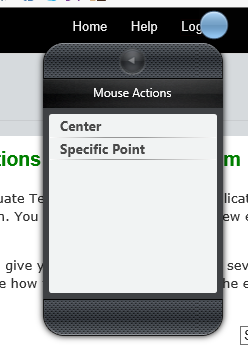 Here you got different options to work with selected elements. When you click on All Action in bottom of browse you will find Test Studio recorder expanded. 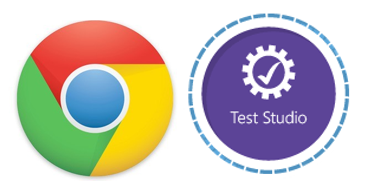 In this way you can now record a test using Chrome in Test Studio. I hope you find this post useful. Thanks for reading. When same test gets executed several times with different set of data then it is called Data Driven Testing. Data used in test is called “Test Data “. Test Data can reside in any external form like in Excel file, XML file or Databases. 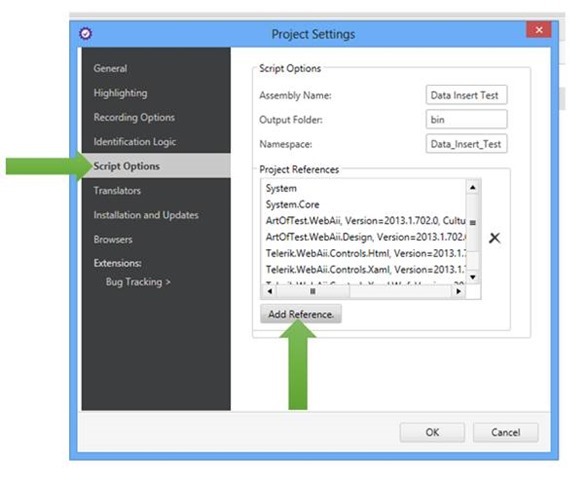 Before using, Test Data should be added as data source in test project. 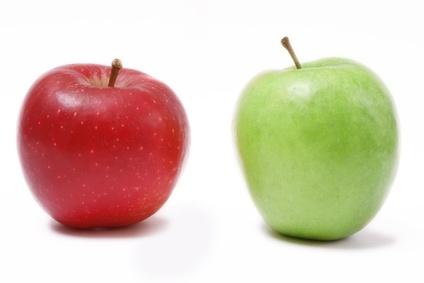 In Data Driven Testing same test get executed several times with different input data. There may be scenario in which test logics and test results both are data bound. In this webinar we will learn to automate Data Driven Testing using Test Studio. We will learn how we can data bind test from various data sources like Excel and databases. See you in the webinar . Will Test fail if id of element being changed in development? Or what will happen if Element id is changed? 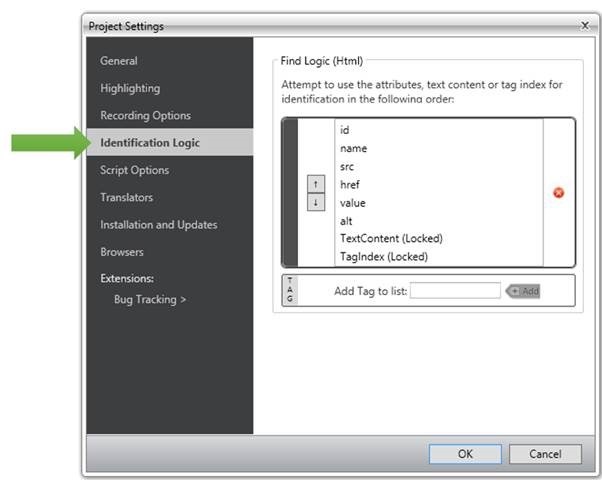 In Project Setting dialog box click on identification logic option. Here you can find identification logic and change it as per requirement to your project. 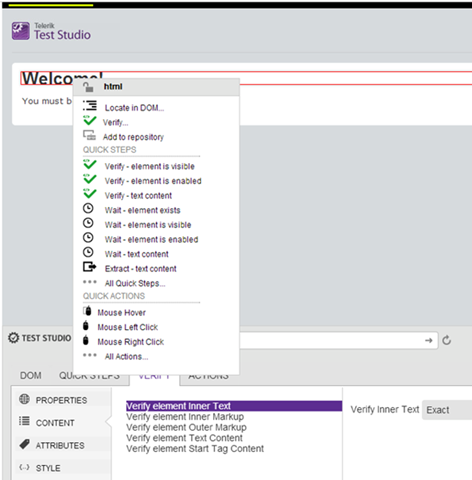 As you can clearly see that by default Test Studio find an element on its Id. If you believe that ID of elements are very much likely to be changed with each development cycle then you may opt to find an element on its other property. If you believe that Name of the elements are not expected to change frequently then you can consider to change project setting to find an element on its Name attribute. To change Find Logic select any attribute then click on up/down arrow to change its position. For example Name is at second from top. To make it first attribute on which Test Studio will find element select Name and then click on up arrow button to bring it at the top in the list. In this way you can configure Find Logic. You may notice that if required you can add new Tag to list as well. 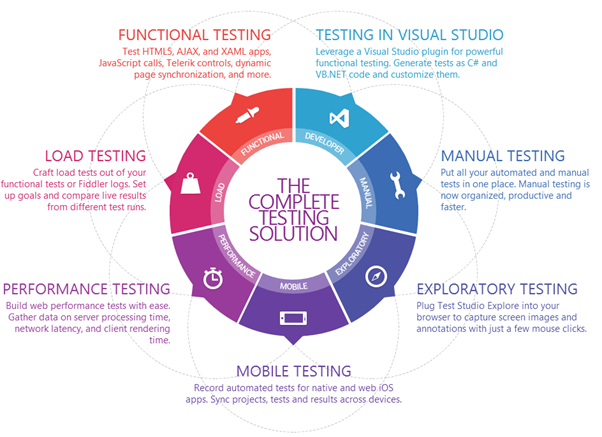 So we just witnessed that Test Studio as automated testing tool is very flexible and allows us to configure Find Logic as our own requirement.